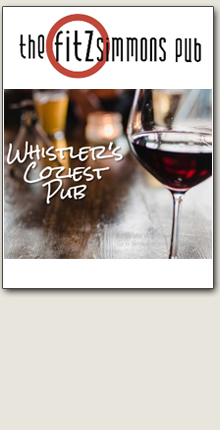 An ideal destination for anyone out for a stroll and looking for something more intimate - Whistler's neighbourhood pub where culture, conversation and community come together. Beer-nerds, are you listening? This is your place!! Whistler's Coziest (and Craftiest) Pub. With 8 taps, constantly rotating local craft, a host of bottled beers, and regular tap takeovers. Top local Whiskies and an array of killer bourbons, were a true local watering hole. PLUS - Happy Hour daily from 7 to 9 pm. Craft beer sleeves for just $5, six ounce glasses of wine for $5 and highballs for just $4! !